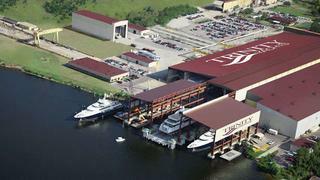 Trinity Yachts and TY Offshore have formed the Gulf Coast Shipyard Group along with new investment partner Littlejohn & Co, a private equity firm based in Greenwich, Connecticut. The new group will own and operate Trinity Yachts and TY Offshore's two Gulf Coast-based shipyards, in New Orleans, Louisiana, and Gulfport, Mississippi, that build superyachts as well as commercial and military vessels. Felix S. Sabates Jr. will step down as chairman to become an advisor and consultant to the new organisation. The Gulf Coast Shipyard Group will also operate the yacht brokerage group International Yacht Collection. 'Going forward, there is so much commercial and military expansion at the Gulfport yard that we are moving yacht construction back to New Orleans,' says Billy Smith, vice president of Trinity Yachts. The 43-acre New Orleans yard already has 10 acres of covered facilities and four large outfitting bays and would only need to update its launching systems in order to build larger yachts. Currently, 58.83m hull No. 62 and 36.5m hull No. 58, Finish Line, are underway in New Orleans. The 51.2m hull No. 52, Euphoria, and 50.9m hull No. 56 are partially built.